In the last few years reports of elder abuse have risen all over the nation and Oregon has seen a similar increase. Part of this increase is merely a numbers game; baby boomers are one of our largest population segments and they are now elderly or becoming so. The increase of reports in Oregon has prompted our state attorney general to seek funding for two assistant attorneys general dedicated solely to prosecuting crimes against the elderly. There is also an increasing awareness of people in general that the elderly, as a whole, are a vulnerable population. This, in my opinion, also accounts for some of the increase in abuse reports. However, if my own experience is any indicator, this abuse is still under reported. In my law practice I see instances of chronic abuse all the time. Ironically, the biggest hindrance to finding out what is going on is the hesitancy of the elderly to report what is actually happening. Many of these folks are embarrassed they have allowed someone to trick them out of their money. Others are being abused by their adult children or other family members and have a misplaced loyalty in wanting to keep their abusers out of trouble with the law. Still, the even bigger factor appears to be fear of retribution if they report something and their abuser is still free to continue the abuse. As an example, since screen legend, Mickey Rooney, died in 2014 disturbing revelations about his final years have surfaced in various publications. These stories illustrate what I see on a regular basis in my law practice that focuses on the elderly. According to news articles Rooney, whose film career spanned 88 years from 1926 to 2014, died with only $18,000.00 to his name. The abuse first came to light in 2011, when Rooney, during the filming of a Muppets movie, confided in a Disney Studios executive that he was being physically and financially abused. That same year, Rooney testified about his experience before a U.S. Senate committee investigating elder abuse. Rooney described the abuse in his testimony, but even then was pulling punches as to the exact nature of the abuse. Amazingly, the apparent abuse continued even after Rooney brought these issues to light. In Rooney’s case the allegations are that two of his stepsons with the apparent acquiescence, if not cooperation, of their mother, Rooney’s wife, stole tens of thousands of dollars from Rooney. There are also allegations that Rooney was battered in order to gain compliance with his stepson’s demands. The California courts have not proven the allegations and with the current state of our justice system nation wide, it is likely this case, and many others like it, will never reach a courtroom. Despite this sad commentary, the situation is improving. Oregon has instituted a mandatory reporter law that requires people in many different professions to report suspected abuse. Law enforcement is becoming more educated as to the nature of this abuse and the most common ways these things are hidden. There are an increasing number of private attorneys that are, like me, focusing on these issues and helping the elderly to find a support system that will keep them safe in their last years. If you have elderly people in your life, be vigilant in looking for signs of abuse and aggressively address any problems that come to light. 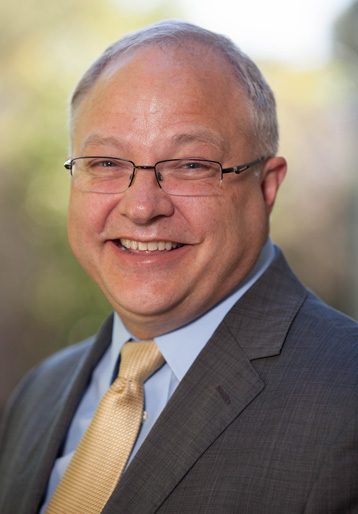 Stan Butterfield is a probate attorney in Dallas, Oregon that services Polk, Marion, Linn, and Yamhill counties. Stan deals with many issues related to the elderly including guardianships and conservatorships. If you believe he could be of help to you or someone in your family call—(503) 623-2427.